Explore the North Cape area in Winter! A winter stay in the North Cape area will be a unique experience! Many go "hunting" the amazing Northern Lights (Aurora Borealis). The possibility of beeing able to see this phenomen is rather good and if you stay at North Cape Cabins it is even better because of no disturbing lights from buildings etc. TWO OF OUR CABINS (ØRN and RORBUA) ARE OPEN DURING WINTER. Please read the note on winter-rental. Aurora Borealis often show up very quickly and disappear just as quick. By staying in our cabins you can in a moment get out into the total darkness to see if the Northern Lights have appeared! Otherwise? If you bring skies you can have both short and long skiing tours in a varied terrain. If you prefer slalom there is a slalom hill approx. 12km from the cabins. In the pure, white snow around the cabins you can have a lot of fun and we have 4 sledges available for our guests. -Or you can just walk along the road in the Polar Night with bright twinkling stars above you! It is no running water in the cabins wintertime. Because of this we have a note explaining how things work, how to get water etc. This you must read before you decide to book or not. You´ll find the note here. No running water gives a 25% reduction in the rent. We need extra time to prepare for wintertime rentals, therefore bookings have to be made minimum 2 days before arrival. Shorter time might be possible. Get in touch if you need short notice booking. "We spent a lovely time here in your cabin. It was warm, comfortable, clean and the landscape was AWESOME! We concerned a little about no running water, but it turned out to be no problem. We will recommend your place for sure to our friends, so they can enjoy as much as we did! Thank you for everything!" Please read all general information on the website. * 7.0 km from the "Honningsvåg Tunnel" (direction towards North Cape). 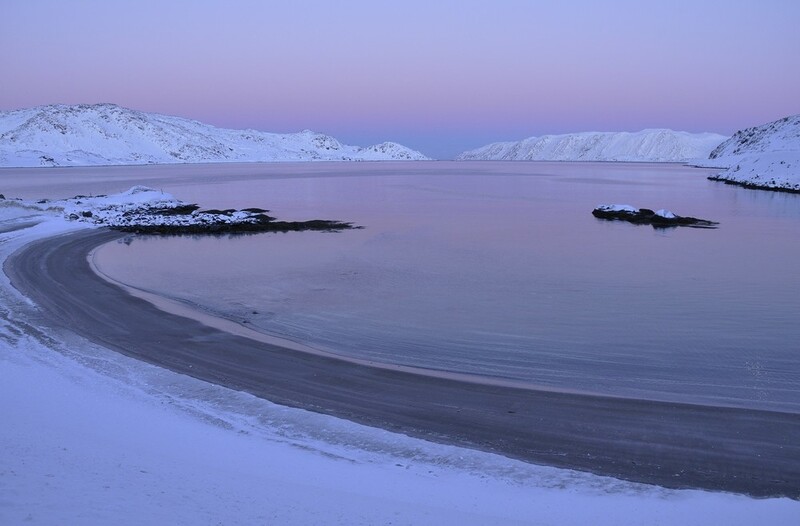 * 7.5 km from Tourist Information Office in Honningsvåg (direction towards North Cape). * 5.0 km from the airport (direction towards North Cape). * 700 m past Nordkapp Camping (when driving from the North Cape). Otherwise; the owners grey Mitsubishi Pajero will be at the parking ground when you reach the cabins.